TODAY! 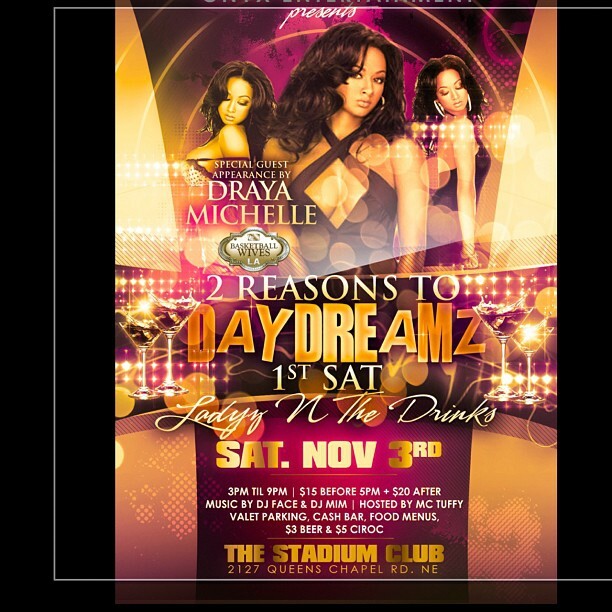 “Day Dreamz” Day Party at @TheStadiumClub! @DJMIMDC on decks! This entry was posted in DJ MIM and tagged BBWLA, Day Dreamz, dj mim, DJMIMDC, Draya, DrayaFace, Ladies Day Party, Stadium Club by MIM Entertainment. Bookmark the permalink.